The hostas in my shade garden are ragged and full of holes every year at the end of summer. Is this normal? It’s not unusual to find holes in big, leafy hostas. Those large, wide leaves create a cool, moist shelter for slugs and snails, who may rest under them during the heat of the day and come out at night to dine. 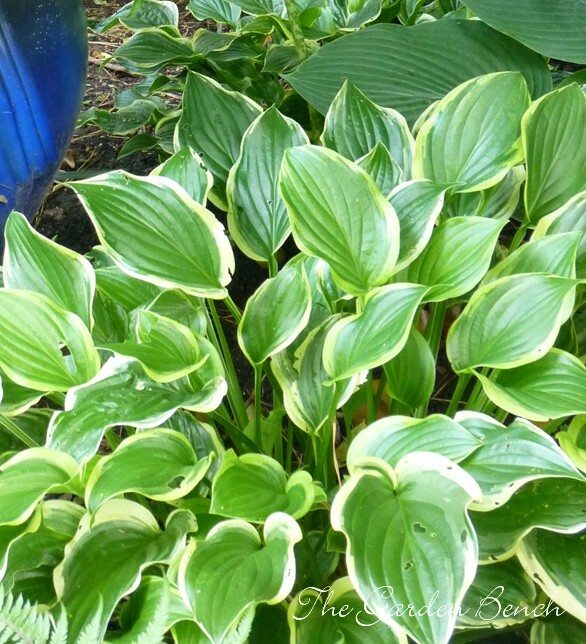 You can verify their presence by placing a small board beside the hostas where you’ve noticed damaged leaves. In the morning, turn the board over to see how many have gathered on the underside of the board. Dispose of them as you wish. Another option may be to set out a small dish or a shallow aluminum can (such as a tuna or cat food can) filled with beer beside the hostas. Slugs in the area may be lured by the beer to crawl into the can, and you can dump them all in the trash. The American Hosta Society suggests several solutions for protecting plants from slug damage, one of which is to provide something else for them to eat, such as lettuce. A different strategy focuses on placing a barrier around vulnerable plants. Strips of copper on the ground can be effective because slugs don’t like to cross it; diatomaceous earth or table salt sprinkled around the plants also may keep them away, but be careful about adding too much salt to the soil. The American Hosta Society mentions a couple of poison baits, but also suggests that a 10% solution of vinegar, sprayed on the slugs, stops them in their tracks – but you have to be out there with the spray when they are out, which is usually at night. A final suggestion is to set a trap. Place two boards together with a small stick between them, where the slugs can crawl into the cool shade. Then, when the slugs are between the boards, remove the stick to trap and dispose of them. NTF’s founding board member and first president, the late Betty Moorhead Brown, includes 236 trees representing 36 different species. A dedication ceremony is planned for later this month, but Nashville Public Television’s Volunteer Gardener program has already taped a segment at the Trail. The segment will air on Sept. 17 at 7:30 p.m. and again on Sept. 20 at 9:30 a.m.
For visitors to the Trail, Nashville Tree Foundation has developed a guide pamphlet that lists the tree species and what to look for along the way. When you visit, pick up a pamphlet at the visitor’s kiosk, or download it here at NTF’s website. In The Tennessean — Easy design with herbs: Floral designer Ralph Null has a simple rule for arranging flowers: “My whole approach is what I call easy design.” He will be among the speakers at the Herb Society of Nashville’s annual Herb Day on Sept. 19, and offers tips for using herbs in floral designs in a story in Saturday’s Tennessean. What could be stripping the leaves off the branches of my roses? 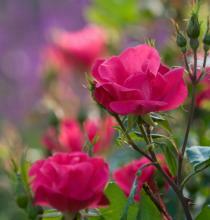 I spray with a product that is supposed to protect roses from insects and diseases, but it hasn’t helped. Keep an eye on roses when it’s hot and dry. That’s when spider mites do their worst damage, say rosarians at the Nashville Rose Society, and they can turn a lovely rose bush into an ugly mess. The tiny creatures get on the undersides of leaves and feed on the plant’s juices. The damaged leaves look speckled, turn yellow and fall off. Spider mites are not insects; they are more closely related to spiders, so insecticides won’t have any effect. You can use a miticide, but it can be expensive. The best and cheapest way to control them is with a blast of water directed at the undersides of the leaves, rosarians say. If you do this every three days for a week or so, you break the mites’ gestation cycle. Here’s a little more information about the tiny arachnids: Adult mites are less than 1/50 inch long. They use their mouthparts to pierce individual plant cells and remove the liquid. They produce webs that can coat the foliage with a fine silk that collects dust, making the leaves look dirty. You can’t see them, but you can certainly see the damage. Heavily infested plants will be discolored, and if they are not controlled, the rose can be stunted, or even killed. I grow herbs and flowers in brick raised beds around my patio. In the evenings, I often see dozens of snails around the bricks and in the beds around the plants. How do you keep snails from eating everything in the garden? Soft-bodied snails and slugs a reluctant to cross scratchy materials, such as pine needles or crushed eggshells. A continuous barrier of that powdery, sharp-edge irritant, diatomaceous earth, should keep snails at a distance. Others have suggested spreading coffee grounds or sharp sand around vulnerable plants. Copper gives slugs and snails a mild electric shock when they come into contact with it, so a strip of copper flashing tacked around the outside of raised beds can be an effective deterrent. Strips of hardware cloth around the bed can also keep snails from crossing. Make sure it extends a couple of inches above the bed, and for extra protection, cut the wire so that it leaves sharp points along the top edge. Set out traps. A shallow pan of beer, or of yeast, sugar and water, lures them in, and they drown. A suggested recipe: 3 cups of water, 1 tablespoon of granulated yeast, and 2 tablespoons of sugar. Snails and slugs stay in the shade during the day and come out to dine at night when it’s cool and moist. You can prop a wide board about an inch off the ground to create an alluring daytime shelter, and collect and dispose of them after they’ve gathered there. Reduce snail habitat by cleaning up around the beds. Loose bricks, boards, moist piles of leaves and other garden debris provide dark, cool places for slugs and snails to hang out during the day while they’re waiting for nightfall to come out and dine at your garden buffet. If you normally water the garden in the evening, change your routine to morning watering so the soil surface dries quickly. 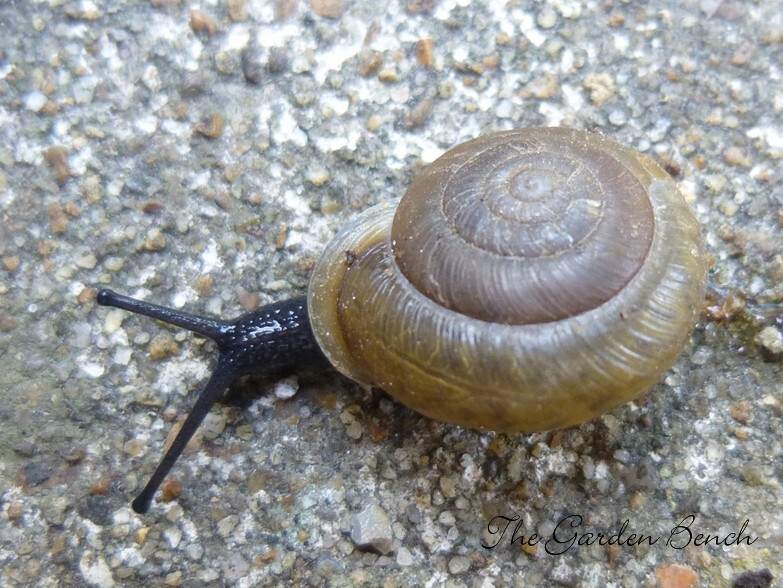 If one technique doesn’t work, try another, or try a combination of techniques to reduce the snail population in your garden.